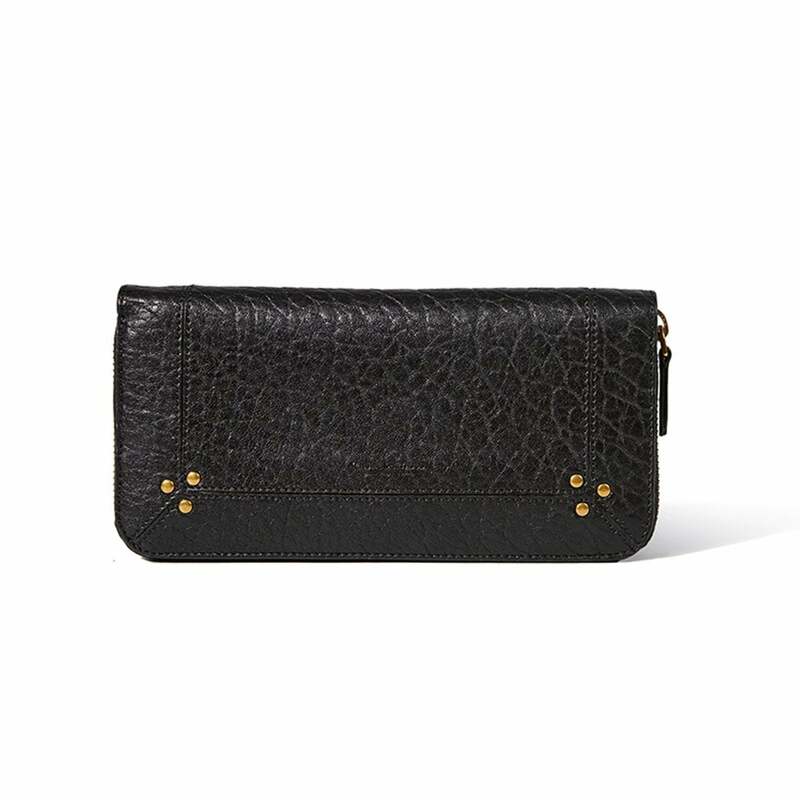 Jerome Dreyfuss Malcolm Wallet in Black: This stunning 100% leather wallet is styled with a large zip covering three sides, a beautifully embossed Jerome Dreyfuss logo to the front and the signature triple metal studs on each side. There are 3 internal compartments and a total of 12 card slots as well as a central zip pouch for change. This purse exudes understated luxury and is the perfect finishing touch to any accessory combination.